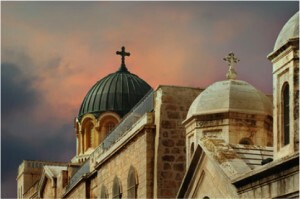 Prepare yourself for a journey to the Holy Land with our Christian tours of Israel. Join others in fulfilling the dream of walking where Jesus walked. STARTING AT $999* – SPACE IS LIMITED! Take a taxi to your hotel. Check in at 3pm. 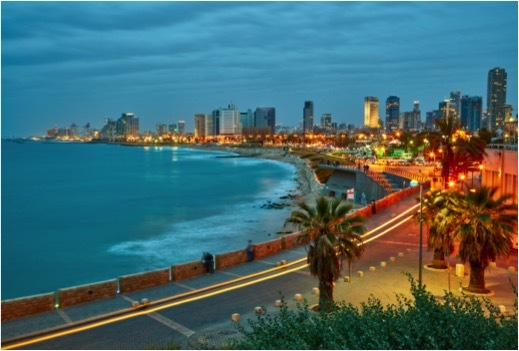 Depart Tel-Aviv and drive along the coastal plain to Caesarea, once the Roman capital of the region. Visit the excavations of the ancient city, the Roman theatre, and aqueduct. Continue to Megiddo, identified as the site of Armageddon. Visit the archaeological excavations including the well-preserved water supply system. 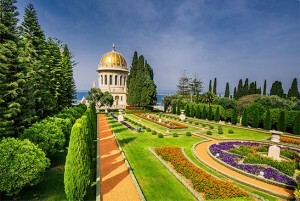 Drive to Haifa for a panoramic view of the Bahai Gardens and Haifa bay during your tour of Israel. From Haifa, drive to Acre to visit the ancient city and harbor. 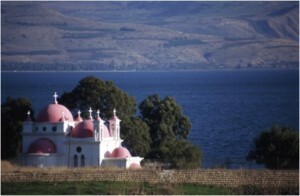 After a short tour of Tiberius, enjoy a boat ride on the Sea of Galilee. Visit the Yigal Alon center where the “Jesus boat,” an ancient fishing boat from the 1st century, is displayed. Continue to Capernaum, the site of the temple from which Jesus taught at the remains of the 2nd century synagogue. Proceed to Tabgha, the site of the Miracle of Fish and Loaves, and visit the Church of Multiplication with its 4th century mosaic floor. Continue to the Mount of Beatitudes, the place where Jesus delivered the Sermon on the Mount. Drive to the Banias Springs and waterfalls, and tour the Golan Heights. Drive to Nazareth via Cana of Galilee. 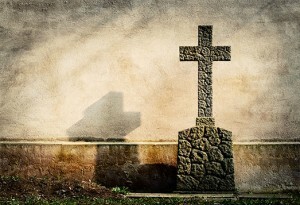 Visit the Church of Annunciation, St. Joseph’s workshop, and Mary’s well. Drive to Yardenit, where tradition says John the Baptist baptised Jesus on the Jordan River. Continue to Beit-Shean and visit the excavated Roman city and the Roman theatre. 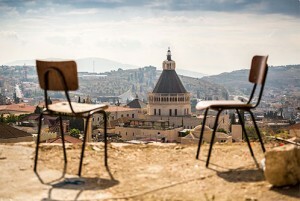 Drive to the Mount of Olives for a panoramic view of the Old City. 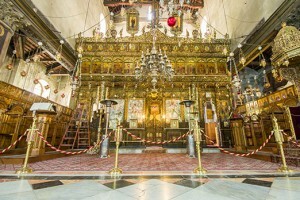 Visit the Church of All Nations, King David’s Tomb, and the Room of the Last Supper on Mt. Zion. Enter the walls of the city and visit the Cardo, Temple Mount (entrance to the mosques not included), Western Wall, Via Dolorosa, the Church of the Holy Sepulcher, and the oriental Bazaar. Drive to Ein Karem to visit the Church of Visitation. Proceed to Yad Vashem, the memorial to the Holocaust. Visit the Israel Museum, the Shrine of the Book, where the Dead Sea scrolls are housed, and the miniature model of Jerusalem as it was during the Second Temple period. Proceed to Bethlehem* to visit the Church of Nativity. Drive to Qumeran, where the Dead Sea scrolls were found. 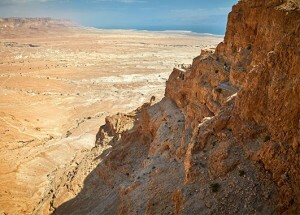 Visit the ancient city of Qumran and drive along the shore of the Dead Sea, the lowest place on earth, to Masada, the last stronghold of the Jews after the destruction of the Second Temple in 70 A.D.
Ascend Masada by cable car and visit the food storeroom, water irrigation system, and Herod’s Palace. Descend by cable car. 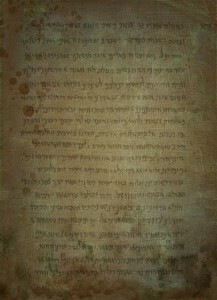 Time and weather permitting, an opportunity will be provided to float on the Dead Sea.